Hi everyone! This is GiGi from The Cricut Bug and I have a card with matching treat to share. I used the Monthly Spotlight, Seeds Of Friendship for these projects. 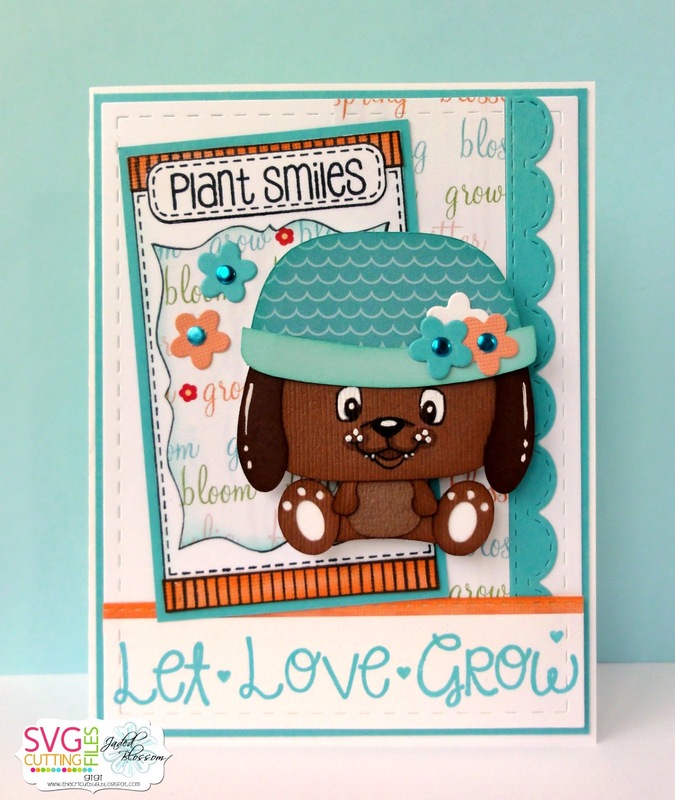 I started the card with a standard A2 card base and added the mat cut with the Card Mat Dies. I added the decorative edge pieces with the Border Dies and stamped the seed packet and all the sentiments from the Seeds Of Friendship stamp set. The pup is cut from the SVG Cutting File Bonnet Puppies file and I stamped the face with a Peachy Keen Happy Go Lucky Dog face. 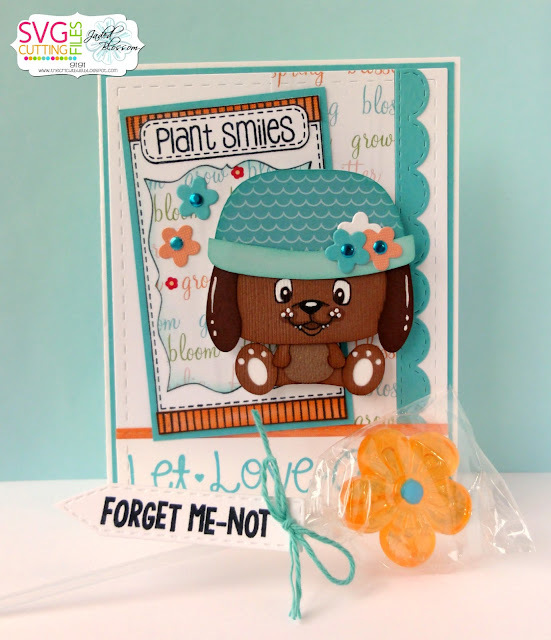 I added the flowers cut with the Spring Dies and added the gem centers with my I-Rock. 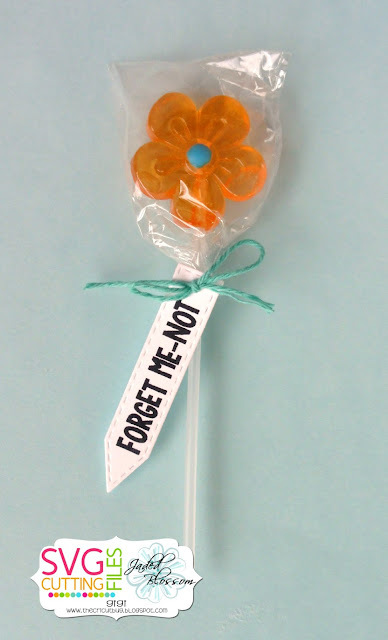 To finish, I cut the sentiment banner on the flower lollipop with the Mini Tag Dies 2 and tied it on with some twine. I hope you all liked my project and thanks for visiting! Have a great day! Don't forget, you can get the Seeds Of Friendship stamp set at a great price this month!